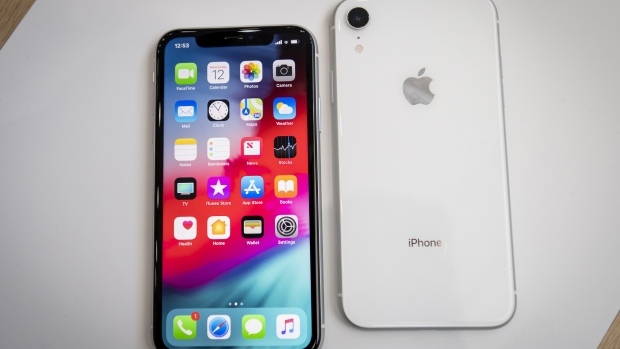 Apple Inc. (AAPL.O) took the wraps off a renewed iPhone strategy on Wednesday, debuting a trio of phones that aim to spread the company’s latest technology to a broader audience. The iPhone Xs succeeds last year’s flagship model with a faster A12 processor and updated cameras. The iPhone Xs Max is a higher-end version with a 6.5-inch OLED screen, making it one of the biggest on the market. There are 512 GB storage options for the first time. The Xs will be available in Canada starting at $1,379 and the Xs Max will start at $1,519, according to an Apple press release. The third model, called the Xr is Apple’s biggest hardware bet of 2018. It retains the key advances of the first iPhone X -- facial recognition and an edge-to-edge display -- but is cheaper while being noticeably larger at 6.1 inches. Apple used older LCD screen technology and aluminum, rather than stainless steel, edges. The Xr will be available in Canada starting at $1,029 according to Apple. "We want to reach as many customers as we can with this incredible technology," Apple marketing chief Phil Schiller said Wednesday during an event at Apple’s Cupertino, California, headquarters. The shares slipped 1.2 per cent in New York. When Apple introduced the iPhone X last year at a starting price of US$999, some analysts were skeptical that people would pay up so much. But it has been the company’s best-selling smartphone. Now Apple is making the core features available on a range of devices that appeal to different budgets. 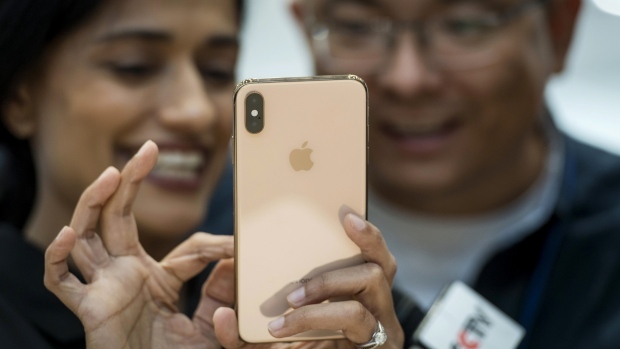 Wall Street has embraced Apple’s evolution from a consumer hardware company into a more-diversified technology giant with an installed base of 1.3 billion devices supporting a growing roster of digital services. The stock has jumped more than 30 percent this year, making Apple the first public company worth US$1 trillion. On Tuesday, UBS raised its price target to US$250, arguing a growing stream of recurring revenue from services and other offerings deserves a higher valuation than the more-cyclical hardware business. The iPhone is still Apple’s most-important product, generating about two-thirds of revenue. While global smartphone market growth has stalled, Apple has kept revenue rising by lifting average selling prices.